People didn’t give up on trying to reach the White House after Trump failed to re-open its call-in hotline. Instead, they got creative and started overwhelming his hotels with calls about their concerns. As the saying goes, when a door closes, a window opens. Until recently, the White House comment line allowed citizens to call 1600 Pennsylvania Ave. directly. While it’s unlikely you’d get a “This is Barry, what’s good?’ greeting on the other end, the call-in service allowed concerned people to leave comments that were later waded through by presidential staffers. I’m assuming a lot of these calls went nowhere, but the ability to call and leave your angry rants, well, that’s as American as it gets. According to ThinkProgress, callers are now greeted with a recording that instructs them to leave a message on Facebook — a feature that isn’t enabled on the White House’s Facebook Page. Maybe they meant leave a comment. But with postings every few hours there’s a better than zero chance it gets buried under tens of thousands of others. Obviously people weren’t all that happy with this solution, so they started calling his hotels instead. A project called White House Inc. posits that the best way to bring back the hotline is to help facilitate calls to ‘satellite White House’s’ previously known as Trump hotels. White House Inc. is a project by Revolution Messaging, the same company that handled Bernie Sanders’ digital campaign. To use it, the service asks users to anonymously submit their phone number and wait while White House Inc. connects them to one of Trump’s hotels worldwide. When you submit your phone number on the [White House Inc. website], you’ll receive a call and be randomly connected to one of Trump’s properties. Don’t be fooled, they’ll ask you to make a reservation or a tee time, but remember, you’re talking to the White House, so use the opportunity to discuss important issues. 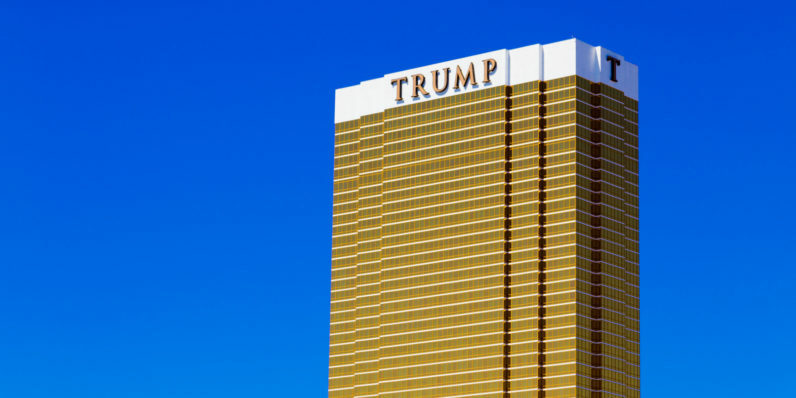 Chances are you’re going to be connected with a very confused person at the front desk that really doesn’t understand why you’re calling Trump International Hotel Las Vegas to discuss immigration. The hope, though, is that the influx of calls will send a message to Trump that listening to the people wasn’t a campaign promise we’ve forgotten about.